Tip: Dab a light vanilla or champagne shadow on the skin nearest the inner corners of her eyes with a small flat brush or index finger. The light, slightly reflective colour makes her look instantly more awake by disguising the darkness that naturally occurs at the inner corners of her eyes. While any light, luminous shade will do, powder is the best medium, since it’s easier to blend than cream formulas, she says. Tip: As we age, our lips lose definition, fullness and colour. Gloss, lipstick, and even tinted balms can help, but they’ll only make you look worse if you don’t properly prep your pout. Bouse exfoliates her lips daily to keep the skin smooth and flake-free. « A light sugar scrub or your facial scrub works well for a daily treatment, » she says. « If your lips are really dry and peeling, try using a damp washcloth or running a clean toothbrush over your lips. 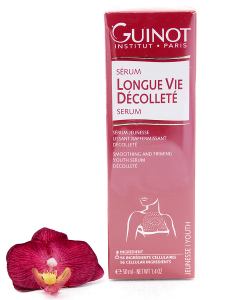 » At night, restore fullness with a hydrating lip serum packed with lip line-reducing peptides and antioxidants. Tip: Exaggerating the bend in lashes helps hide heavy lids and makes eyes look bigger. For the most lengthening effect, hold the curler as close to the root as possible for about 15 to 20 seconds on each eye, (if you feel a pinching or pulling sensation, aim a little higher; it should never hurt). Finish with two coats of mascara, wiggling the wand at the root of your lashes to about halfway up the lash, which will deposit a little extra product to fake thickness at the base of the lash. From the middle to the ends, she recommends sweeping the wand straight through before making another pass or two at lashes’ ends to make them look as long as possible. Tip: Give the illusion of more youthful (ahem, not saggy) lids by creating a defined brow. Pencil them in, eyes instantly look wider; it actually even appears as though your eyes have been lifted. Dibble and Bouse use what they call « the pencil trick » to create face-flattering arches. To try it, hold a pencil parallel to your nose vertically, to find the point where your brow should begin. (It should roughly align with the inner corner of your eye.) Next, hold the pencil along the diagonal line from the outside of your eye’s iris to the tip of your nose, to find the point where your arch should be. Finally, keeping one end resting on the side of your nose, align the pencil with the outer corner of your eye—this is where your brow should end. For the most natural look, fill in just the sparse areas with a brow pencil slightly darker than your hair color if you’re light-haired, and slightly lighter than your hair color if you’re dark-haired. And if you’re looking for a mature skin-friendly foundation, we LOVE Thalgo Silicium Anti-Ageing Foundation – Fond de Teint Anti-Age – Ambre which is for women who are after a multi-purpose product that targets wrinkles while giving a smoothing finished to their complexion. Thalgo Anti-Aging Foundation gives a glow for a natural-looking result in every light. Its anti-ageing action meets the needs of mature skin making it gradually appear firmer, smoother and velvety-soft. Its indulgent texture, rich in redensifying marine silicium and hyaluronic acid complemented by radiance-enhancing pigments, provides an optical correction of wrinkles and other skin imperfections. The complexion appears flawless and the skin remains smooth all day long. Marine Silicium – activates the neo-synthesis of the support fibres; works actively on the organization of the 3-dimensional architecture of the dermis. 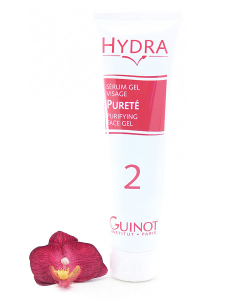 Hyaluronic acid – instant filler effect. Radiance-enhancing powders (2 soft-focus micro-particles) – provide an instant smoothing effect to optically erase the appearance of wrinkles. 4 ultra-fine mineral pigments – recreate a complexion as close as possible to the natural shade of the skin. Amino acid (plant origin) – holds and retains water; creates a greater affinity between the pigments and the skin for perfect coverage. 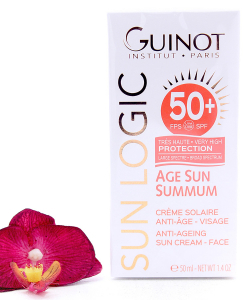 This entry was posted in Anti Aging, Cosmetics, Mature skin, Thalgo and tagged Thalgo Silicium Anti-Ageing Foundation – Fond de Teint Anti-Age – Ambre.